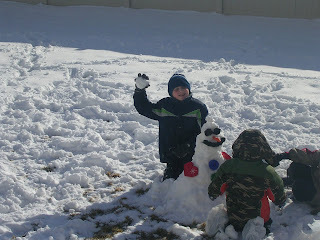 We had a little free time today so I got the boys bundled up and let them loose in the backyard! They had a blast! 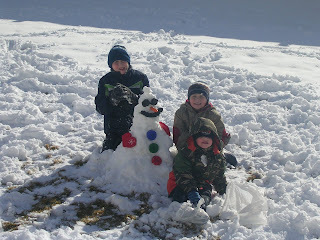 We even built our annual snowman. Here are a few pictures and a short video! Enjoy and Merry Christmas!! !